“Big Brother Knows Best” (Premiere) Daily reality show featuring footage from surveillance cameras in NY City public schools. 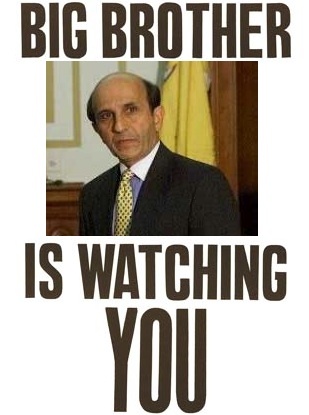 Starring Joel Klein as “Big Brother”. Today’s episode: A camera turns the tables on Joel as it zooms in on his Blackberry screen. November 29, 2007 (GBN News): Amid speculation that the City Council may be planning another referendum on modifying term limits for the Council and other city officials, Mayor Bloomberg’s opposition to such a move may be softening. The Mayor said today that he would be amenable to a change in the law, and weighed in with a plan of his own as an alternative to the current situation. Under the Mayor’s proposed plan, Council members would each be rated by a letter grade. 85% of these grades will be based on the progress and performance of their districts, using measurable standards such as income levels, home prices, traffic safety statistics, crime rate, and test scores of the district’s schools. The remaining 15% of the grade will be based on a public opinion poll rating voters’ satisfaction with each member. Mr. Bloomberg is reportedly arranging with the Department of Education to use their ARIS computer system to crunch the numbers and come up with the grades. Mr. Bloomberg’s plan calls for the letter grade to determine whether a Council member is allowed to run for additional terms. A member who receives an “A” will be allowed to serve indefinitely as long as the “A” is maintained. A “B” grade earns a member one additional term. “C” will leave the member subject to the current two term limit. A grade of “D” could result in recall of the member if the grade does not improve by the next marking period, while an “F” would subject the member to immediate recall and would put the district at risk of being eliminated. "We have to hold the Council members' feet to the fire," the Mayor said. "They have to be held accountable, and if they don't perform, there are consequences." While the Mayor would not comment on a possible third term for himself, City Hall sources told GBN News that the Mayor’s plan will also include a provision for an end to Mayoral term limits. According to these sources, since the Mayor believes in accountability, his plan gives a Mayor scoring over 60% in public opinion polls an “A” grade and the right to serve additional terms. In a related story, Schools Chancellor Joel Klein was asked today whether he would remain as Chancellor should the Mayor end up being given a third term. Mr. Klein had no comment, largely because he was so immersed in his Blackberry that he did not hear the question. The DOE's school report cards, called "Progress Reports" continue to be the focus of sharp criticism. Klein and Bloomberg have arrived at a highly individual definition of a "good school," without any social consensus on that definition. No matter parents are confused. None of them would have mixed the ingredients in just that way were they to evaluate the school. So none of them should rely on the mayor or chancellor to determine where they send their children or how they behave toward poorly (or, for that matter, highly) graded teachers and administrators. Also in the Gotham Gazette, Richard Kessler of the Center for Arts Education, explains how the Bloomberg administration's mania for testing harms arts education. Click here for his article. Time out from Testing continues to gather signatures against the Progress Reports and the increased testing required to compile them. They are looking to complete their petition this week. Add your name here. North Carolina, a state that led the nation in terms of emphasizing testing as one of the key methods to improve instruction, now appears to be about to reverse course. According to an article in the News and Observer, A Blue Ribbon Commission on Testing and Accountability is recommending eliminating or discounting many of the state’s tests. "We're testing more but we're not seeing the results," said Sam Houston, the commission's chairman. "We're not seeing graduation rates increasing. We're not seeing remediation rates decreasing. Somewhere along the way testing isn't aligning with excellence." This was not just an isolated slip from Chancellor; I know at least one prominent elected official who was asked by Klein why she sends her child to a NYC public school. The article focuses on PS 199 in D3, PS 116 in D2, and PS 321 in Brooklyn, but clearly, this is a problem happening all over the city. Last night, at the Panel for Educational Policy monthly meeting, parents from PS 8 in Brooklyn Height complained that enrollment has tripled and their 2nd and 3rd grades now have class sizes of 30, with worse to come, because of the number of new buildings rising in their neighborhood. Teachers at PS 373 in Staten Island, a special ed school for autistic children, spoke about how the overcrowding at their school has become so bad that all the classrooms had been divided in half, and still, there was no space for a “quiet room”, which is essential for calming autistic children when they lose control. A parent from D 24 in Queens spoke about the rampant overcrowding in her district; in one school, Kindergarten students have to be bussed to another district, and yet the school is officially rated as undercapacity. I spoke as well last night and first reproved the Chancellor for having let the legal deadline for class size reporting lapse. I informed him that the DOE was now in violation of law by refusing to disclose this information. I then spoke about their new class size reduction proposal, just recently approved by the state, which calls for lowering average class size to no more than 20 in K-3 and no more than 23 in all other grades over the next five years. This proposal represents a significant improvement – especially if achieved in all schools and communities citywide. But there is no room in our schools right now to accomplish these goals, and the current capital plan would need at least twice as many seats – about 120,000 – to make this possible. According to my calculations, based on the cost estimates in the current capital plan, it would take about $138 million in annual payments to finance this number of seats, after 50% reimbursement from the state for new school construction. This amounts to less than 3% of last year’s surplus, and less than one seventh what the Mayor gave back in tax cuts last year. Yet if current trends continue, NYC will spend a smaller percentage of its capital budget on schools than at any time in more than ten years. I asked Klein last night if he planned to expand the current capital plan to allow their state-mandated class size reduction plan to become a reality, or if his proposal was only a convenient fiction concocted to satisfy the state. Do you know what he said? He responded that he would love to have a better capital plan, but he had no control over the budget. Talk about an excuse-based culture! Well, I don’t think this is good enough answer. It’s his job, and that of the Mayor, to provide the space so that smaller classes can become a reality. The amended capital plan is coming up for comment before CECs in December. See my fact sheet and let your CEC know that they should demand a better capital plan – one that provides at least double the seats, and the space to fulfill the new state mandate for smaller classes in all grades. See Patrick Sullivan, Manhattan rep to the Panel for Educational Policy and co-blogger here, tangle with Jim Liebman of DOE at the September PEP meeting, as they spar over the findings of the official parent survey, especially as regards testing and class size. See Liebman manage to present the results without ever allowing the words "class size" pass his lips -- despite the fact that smaller classes came out as the number one priority of NYC parents. See Patrick question the motivation behind the administration's attempt to obscure this finding, as well as effectively counter Liebman's attempt to spin the results as showing that most parents really want more test prep. A civic-minded, selfless billionaire, Smellington B. Worthington III, has started a new blog, pointing out how the NYC school system needs to be improved. Accordingly, he has lots of worthy things to say about the need to get rid of teacher tenure, extend the school day, etc. Check it out at Billionaires for Educational Reform. A couple of updates on the NAEP story, which found mostly stagnant results in all categories except fourth grade math for NYC since 2003, when the Bloomberg/Klein reforms were first introduced. Elizabeth Green of the NY Sun reports today that DOE provided more accommodations and extra time to a larger percentage of fourth graders than any other city in the country – so much so that several testing experts are saying the results should be considered invalid. On three of four tests, the accommodation rate was around 20%. On the fourth-grade math exam, an extraordinary 25% of students were given accommodations -- and this was the only test that showed significant gains. "Our great educators should feel extraordinarily proud of their work," he said. "And it is important to remind them of how much they are achieving on behalf of the children of the city even if others would prefer to ignore the power of their work." This statement ignores the fact that the poor results on the NAEP are not any sign of failure of our hard-working principals and teachers, but are instead a reflection of the poor leadership at Tweed, which has put into effect one incoherent reorganization after another over the past five years, without fundamentally improving the learning conditions in our schools. Indeed, our educators have had to work overtime just to stem the losses that would have otherwise occurred. Also see Eduwonkette , who further deconstructs the NAEP scores, showing little improvement, and no real narrowing of the achievement gap – even in 4th grade math. 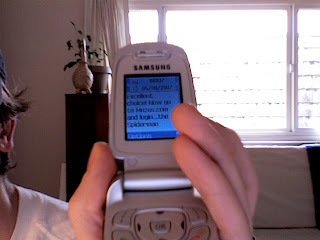 November 19, 2007 (GBN News): A plan by the NY City Department of Education to distribute cell phones to city school children as rewards for good grades is being expanded, and the phones will soon be sending text message ads to all students in the city. According to GBN News sources, the new plan came out of meticulous research commissioned by Mayor Bloomberg, and is based on the results of a focus group hand-picked by the Mayor and comprised of trusted friends from the business world. In fact, when Mr. Bloomberg said recently that the only reason parents want their children to have cell phones is for children to tell them if they want beef or fish for dinner, he was basing his statement on information from this focus group. The Mayor, who made billions selling new technologies through his company, Bloomberg LP, was quick to realize the marketing potential of the situation. According to these sources, he formed a task force to devise a plan utilizing cell phone technology to meet parents’ and children’s needs while simultaneously enhancing children’s education. The plan that reportedly arose from this task force is being called "The Million Program", and is to eventually reach all 1.1 million school children in the city through cell phones that will carry advertising tailored to people’s expressed needs. The million program: DOE's new cell phone project as ingenious marketing tool? See the article in Advertising Age, revealing a new twist in the DOE project, originally devised by Roland Fryer to offer cell phones to students, supposedly as an incentive to improve their academic performance. It’s now being branded as “The Million program” – referring to the 1.1 million students in the NYC public schools. This proposal was originally described as an “experiment” but is now said to involve 10,000 to 11,000 students in its first year alone - and is apparently being pitched to potential sponsors as a way to market their products to all NYC students in the near future. There may also be product “discounts” offered in text messages, according to Droga – a good way to sell more products. So let me get this straight: this administration will continue to deny cell phones to students who need to communicate with their parents on their way to or from school, or in case of an emergency. But they will be offered as a way to sell them products? This project is quickly turning into a potential goldmine for some lucky advertising agency as well as a host of possible commercial sponsors, and yet another opportunity to drain the pockets of NYC kids and their parents. According to new UFT data, the attrition rate of teachers has risen significantly under this administration. “City teachers are quitting in record numbers, according to data their union released Sunday. Teacher pay has increased by more than 30% since 2001, giving 83,000 city teachers salaries closer to their suburban peers. Still, the union says the number of certified teachers who left classrooms jumped 81% in the same period - to 4,606 in 2006, up from 2,544 in 2001. This does not include teachers eligible for retirement. "People are saying, 'I give up,'" teachers union President Randi Weingarten said. She couldn't say whether these teachers quit the profession or moved to another district. But she blamed the exodus on large class sizes, poor teacher support and an administration at the Education Department that "doesn't listen to good teachers." This is from a Daily News article -- here are NY Post and NY Times reports. Chris Cerf of DOE denies the accuracy of UFT data and calls this a “stunt”. Cerf himself is perhaps not the most credible of sources as he has been pushing the company line that the stagnant NAEP scores released last week showed great progress for NYC schools. See also NY Post today, detailing how new small schools formed with Gates funds are graduating students with a disproportional number of lower grade diplomas – diplomas that will be ruled out next year. Who really deserved to win the Broad prize? According to the just-released NAEP results, the city that really deserved to win the Broad prize as most improved urban school district in the country was not NYC, but Atlanta; however, lacking the Mayor’s political connections, supportive editorials in major newspapers, and well-heeled PR department, it wasn’t even nominated. In fact, Atlanta was the only urban school district that has seen a consistent upward trend in all subjects tested by the NAEP--4th and 8th grade reading and 4th and 8th grade math--since 2002/2003, unlike NYC. Coming in a close second? Washington DC, which saw consistent gains in all subjects and years since 2003, except 8th grade reading, though it did make significant increases in even 8th grade reading since 2005. Not only was the DC school system not nominated for the Broad award, though; its superintendent was fired and its governance system changed over to Mayoral control. Why? To emulate the well-publicized, if illusory successes of the school system here in NYC. Will visually and hearing impaired children be the next victims of this administration's obsession with test scores? A month ago, we posted information about the proposal that had been floated by top DOE officials to eliminate the offices at Tweed responsible for serving visually and hearing impaired students, and to put these very specialized functions under the direct control of principals at individual schools. Though this radical change was apparently headed off, at least temporarily, because of widespread protest from parents, there have apparently been already many changes made to programs for visually and hearing-impaired students, with some classes closed, and more to come. ….Last week at a private meeting held by Marcia Lyles (Deputy Chancellor of Teaching & Learning) the implementation of the DOE's plan to move all Educational Vision Services (EVS) & Hearing Educational Service Divisions (HES) services to the direct control of individual Principals at the school level was discussed. In attendance were Bonnie Brown (District 75 Superintendent), Helen Kaufman (Lead Regional Administrator for Citywide Programs, District 75), Dr. Lawrence Gardner (Director of Educational Vision Services) and various DOE principals. In response to the outcry among parents of blind and visually impaired students, Bonnie Brown had reported that this was in response to concerns raised by principals a year ago that blind and deaf children in their respective schools were adversely affecting test scores results. Consideration of possible changes to Educational Vision Services and hearing Educational Services began. The principals felt that it was unfair that they be held accountable for the test scores for students whose academic programs they have no control over. Those early conversations eventually led to the meeting held on October 11th, 2007. The CCSE requested information from the meeting. Bonnie stated that Mr. Diaz, Chief of Staff to Deputy Superintendent Dr. Lyles’s took notes at the meeting and will provide them for Maria Garcia and the Council who would them forward them to all interested parties, Mr. Diaz agreed. Bonnie Brown also addressed the closing of self contained vision classes across the city, saying that due to advances in Medical Care there are fewer blind and visually impaired students entering the system; hence, fewer referrals and the need for fewer classes. CCSE member, Maria Garcia reminded Bonnie Brown that her statement was based on incorrect information. Data from the Commission for the Blind and Visually Handicapped (State Agency for the Blind) supports that there are more blind and visually impaired students entering the system not fewer. Ms. Garcia proceeded to clarify; advances in Medicine have resulted in a higher survival rate amongst premature infants including micro-preemies and a correspondingly higher increase in enrollment of cortically blind students in school systems across the nation. Ms. Brown stated that Principals complained that they felt unwelcome in the self-contained classes. Maria Frieda, Queens EVS Supervisor responded by pointing out the self contained classroom teachers, students and their parents have been historically unwelcome and has not been included in the cultural of the General Education buildings that house them, not the other way around. Ms. Lawson, parent of a seeing impaired student asked Ms. Brown to refute the rumor that the DOE plans to dismantle Educational Vision Service. Ms. Brown said she would not use the word dismantle. CCSE Member, Ms. Garcia stated the DOE is currently instructing fewer than 10% of the legally blind students with Braille and the DOE does not require a learning media assessment of kindergarten students entering the system to determine the most appropriate learning media for student. New students are instead automatically placed on a large print tract which will result in functional illiteracy for most if not all legally blind students. Parents and members of EVS voiced their concerns as to what is taking place. Ms. Brown repeatedly reiterate her opinion that the situation was well in hand. The DOE and Dist. 75 are qualified to determine the final out come of Vision and Hearing Education Services. Ms. Garcia asked for a commitment from the DOE as well as District 75 to involve parent representatives and the CCSE in all future discussions of changes to the administration of services to seeing and hearing impaired students within the NYC Education (DOE); there was no reply. A flyer for this meeting is posted here. Thanks to John Englert, president of the CCSE and Maria Garcia, CCSE member and President of the Parents of Blind Children of New York for this update. 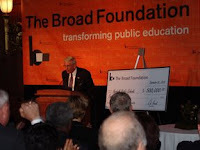 November 17, 2007 (GBN News): The Eli Broad Foundation announced today that it is offering a $100 million endowment to any university that establishes a Bachelors degree program in High Stakes Test Taking. The foundation hopes to capitalize on the test taking skills that the nation’s schoolchildren are developing under No Child Left Behind, and to insure that those skills will continue to be useful as they move on in life. In other education news, Chancellor Klein personally handed out cell phones to the first class that qualified for his new “reward for performance” program. In an embarrassing glitch, the Chancellor quickly ran out of phones. Apparently, he was unaware of the number of children in the class, since the DOE had delayed the City Council mandated release of its class size figures. It all evened out, however, when school security officers immediately confiscated the phones that the Chancellor had distributed. NY Times: "Little Progress for City Schools"
New York City’s eighth graders have made no significant progress in reading and math since Mayor Michael R. Bloomberg took control of the city schools, according to federal test scores released yesterday, in contrast with the largely steady gains that have been recorded on state tests. The national scores also showed little narrowing of the achievement gap between white students and their black and Hispanic counterparts. The results for New York and 10 other large urban districts on the federal tests, the National Assessment of Educational Progress, paint a generally stagnant picture for the city, although there are gains in fourth-grade math. On measure after measure, the scores showed “no significant change” between 2005, when the test was previously administered, and 2007. Mr. Bloomberg has trumpeted improving state test scores as evidence that the city is setting the pace for urban school reform. But the federal scores, on a test often called the nation’s report card, suggest that the city’s gains are limited. Alan Ray, a New York State Education Department spokesman, echoed Mr. Klein’s concerns and added that students might not perform as well on the national test because passing the test is not required to advance to the next grade level, as it is on the state tests. The defense is that teachers prep our kids for the State tests but not the federal ones? In other words, we should expect our kids to know math and English only the way its asked on the NY state tests, otherwise they're out of luck? With promotion, school progress reports, principal bonuses and teacher merit pay all tied to the same state tests, the craze for teaching to the state tests at the expense of real education will only worsen. The NAEP sent us a note inviting public school parents to participate in a forum where NAEP Associate Commissioner Peggy Carr will answer questions about the results. If you are interested, email your question to tuda2007questions@ed.gov by Monday at noon. Dr. Carr will post her answers to submitted questions on Nov. 20 at 3 p.m at http://nces.ed.gov/nationsreportcard/2007tudachat.asp. See earlier blog coverage of the NAEP results from Diane Ravitch here and the NY Sun here. What grade would you give Joel Klein? Yesterday, the DOE let the legal deadline for class size reporting lapse. Not entirely surprising, given the fact that they have refused to tell us a single school where class sizes have supposedly been reduced this year. Their official excuse is that they are still working on cleaning up the data. Interesting that they felt they had enough accurate data to assign grades to every school; but they are still working on providing accurate class size information – as required by a law passed by the City Council nearly two years ago. Tweed talks a lot about data-driven instruction, and is spending millions of dollars putting together data inquiry teams in every school to pump up test scores. But when it comes to the most basic, most critical data of all – how large are the classes our kids are sitting in – they remain officially at sea. Or else they are simply trying to hide the truth. Which is worse, I can’t say. The NAEP (national) test scores were released yesterday. These are the most reliable indicators we have for spotting long-term trends. NYC made no significant improvements in three out of the four categories since 2003, when the administration put into effect its Children First reforms. No improvement in 4th or 8th grade reading, no improvement in 8th grade math. Only in 4th grade math have there been increases. Below is an article from today’s Times; and here is Diane Ravitch’s summary on our blog. Also see the NY Post story, in which the Chancellor is quoted as saying that they are going to launch another “comprehensive study” to see what works in terms of raising achievement in middle schools. Parents and teachers could tell him plenty about how our middle school class sizes are not conducive to learning, in which 79% of students are in classes of 25 or more, and 40% in classes of 30 or more, far above the state, national and OECD averages, but I doubt he’d be interested in listening. Clearly, the fact that this fall, NYC received the Broad award for most improved school district in the country was undeserved. As I said at the time, it was based largely on manipulated graduation data and inflated state test scores. 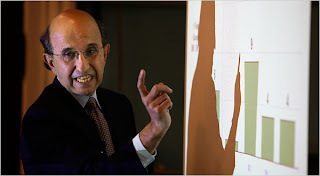 What grade would you give Joel Klein and this administration, not only for failing to improve student achievement in three of four categories, but in other areas? Say, transparency, communication, fairness? Or pick any category you like. Our blog has a new poll (see right hand corner.) Please vote, and then put your comments on right here as to why you give the administration the grade you did. The NAEP scores for 11 big cities were released on November 15 and there was a little good news for New York City and quite a lot of bad news. The good news is that fourth grade students made significant gains in mathematics on the 2007 NAEP test. These gains were spread across all groups of students of every race and ethnicity. The bad news is that NAEP showed no significant gains between 2003 and 2007 for New York City students in fourth grade reading, eighth grade reading, or eighth grade mathematics. In these areas, there were no gains for students of any race or ethnicity. NAEP has been releasing test results for certain big cities since 2002. The big-city testing program started at the request of the Council for Great City Schools, which wanted a clear measure of how the urban districts were doing compared to states and the nation. 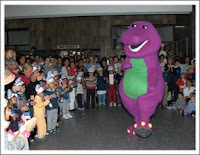 The baseline for Children First begins with 2003 data, as the test was given in the spring of 2003, before the reforms were implemented in September 2003. There was a significant increase in scores from 2002-2003, but that was the year prior to the implementation of Children First. In fourth grade reading: the overall score was unchanged from 2003. The only significant gain was made between 2002 and 2003, before the Children First regime was launched. For NYC fourth-graders in 2007, lower-income students showed "no significant change in the average score compared to 2003 and 2005." In addition, there was "no significant change in the average scores for White, Hispanic, and Asian/Pacific Islander students compared to all previous assessments"; for Black students, "there was no significant change compared to 2003 and 2005." The report said that there was "no significant change" in the percentage of students at or above Basic since 2003, and "no significant change in the percentage at or above Proficient compared to all previous assessments." (p. 50). For NYC eighth-graders in reading, "The overall score was not significantly different from 2003 and 2005. "Results for lower-income students showed "no significant difference in the average score compared to 2003 and 2005." Results for racial/ethnic groups showed "no significant change in the average scores for White, Black, Hispanic, and Asian/Pacific Islander students compared to 2003 and 2005." Results for racial/ethnic groups showed "higher average scores for White, Black, Hispanic, and Asian/Pacific Islander students compared to 2003 but no significant change compared to 2005." Achievement level results showed "an increase in the percentage at or above Basic compared to 2003 and 2005, and an increase in the percentage at or above Proficient compared to 2003 and 2005." Results for racial/ethnic groups showed: "No significant change in the average scores for White, Black, Hispanic, and Asian/Pacific Islander students compared to 2003 and 2005." There was "no significant change in the percentage at or above Basic compared to 2003 and 2005." There was "no signficant change in the percentage at or above Proficient compared to 2003 and 2005." The NAEP scores may be seen as a report card for the Department of Education for its reforms from 2003 to 2007. In one area, fourth grade mathematics, the DOE gets an A. On three other areas -- fourth grade reading, eighth grade reading, and eighth grade mathematics--the DOE showed no progress at all. Not a good report card, though I will leave it to others to assign a letter grade. NAEP is widely considered the gold standard of educational testing. The federal government has invested heavily to ensure its reliability and validity. November 15, 2007 (GBN News): In an unusual coincidence, both Mayor Michael Bloomberg and schools Chancellor Joel Klein have been diagnosed with the same rare neurological condition. The disease, said to be so uncommon that is has not yet been given a name by the medical community, is characterized by a total disconnect between one side of the body and the other. Compared to the rest of the country, New York City fourth-graders edge out large central cities slightly on average but fall behind the national numbers. Eighth-graders scored no better on a math test than students in large central cities. That pattern has been essentially unchanged since 2003, the year the Bloomberg administration began to initiate changes in the city's public schools. The results contradict earlier Bloomberg administration claims of success especially in middle schools. Full article here. 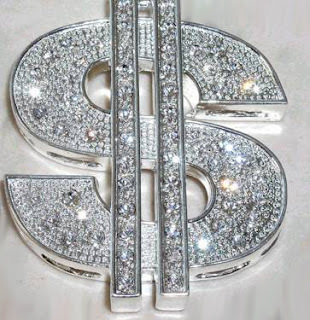 Bling instead of books: how low can they go? Every time you think the DOE can’t stoop any lower they do. Roland Fryer’s experiment, originally supposed to be small-scale and privately funded, has now mushroomed into an expensive project to provide tens of thousands of students with cell phones, free tickets to sports games, and text messages from famous athletes and rappers --– to “convince” them that staying in school and working hard is worthwhile. This week's plan, according to the Times, is to have famous people, such as Jay-Z and LeBron James, send poor New York City kids text messages telling them to stay in school. Really. Because a rap artist who dropped out of high school and a basketball player who skipped college for a multi-million-dollar professional contract are the perfect figures to teach kids about the long-term benefits of doing well in school. Schools Chancellor Joel I. Klein said the project was the city’s first attempt to bring about change in the culture and behavior of low-performing students after years of efforts focusing on school structure and teaching. “How do you get people to think about achievement in communities where, for historical or other reasons, there isn’t necessarily demand for that,” Mr. Klein said yesterday in an interview. “We want to create an environment where kids know education is something you should want. Some people come to school with an enormous appetite for learning and others do not — that’s the reality.”…. Dr. Fryer said he viewed the project in economic terms, arguing that while the administration’s previous efforts have focused on changing the “supply” at schools, this one is proposing to change the “demand” for education by making students want to seek learning. “You can have the best product in the world, but if nobody wants it, it doesn’t matter,” Dr. Fryer said. If Fryer thinks that NYC schools are the “best product in the world,” he must be blind. And Klein says there have been “years of efforts focusing on school structure and teaching”! Just yesterday, the Daily News revealed the fact that at the ACORN high school, which received a “F,” every student is forced to share a text book with five others. Why don’t we start on providing kids with books, before we move on to bling? I know Fryer just recently arrived from Harvard, but are the rest of these guys so insulated from reality in their chandeliered palace that they don’t know how overcrowded and deprived most of our classrooms really are? The blame here is so misplaced it is unbelievable. If motivation is the issue, perhaps the city would do well to take a look around the schools we ask poor children to attend. In mine, at least, a building that serves grades K-8, they eat in a nasty-smelling, ugly-as-hell cafeteria, learn in classrooms that are perpetually uncomfortable because someone cannot figure out how to heat our building properly (we’re talking upwards of 80 degrees with the windows open in the winter), … The school building - despite the efforts of those of us who work there - lacks the kind of magic that inspires, lacks the comforts that communicate care and importance - and let’s be frank here, the kids are needy as hell and there is never enough… never enough mental health services, never enough school supplies, never enough teacher attention, never enough paraprofessionals. Classes need to be smaller so each one of these kids can get the attention he or she needs to make up for very real challenges that accompany being poor in the richest city on earth. School buildings need to say “You are welcome and cared for here and will enjoy the time you spend here, and what happens here is our priority.” And then, when we’ve made our schools beautiful and filled with the talented people and plentiful resources to provide what children need in order to do well, only then we can turn our attention to whatever gaps in motivation might exist and start sending out edgy little cellphone messages about the value of education. Christ. It’s kind of startling, the amount of effort, time and money going into this “rebranding” campaign – but I guess when you’ve given up actually trying to improve schools, as they seem to have done at Tweed, what’s left? If you run Tweed via PR, you think that’s PR is all that exists. So which students at which schools are going to be offered the thousands of new tickets, cell phones and the rest? Those attending KIPP and New Visions schools. I thought these schools were already so expert at motivating students…but I guess not. If nothing else, this will probably lead to a surge of applicants, so they can even more effectively skim off the top. And I guess we’ll just continue to disregard all those hundreds of thousands of students, left attending our large, overcrowded high schools, in classes of 30 or more, with not enough books, not enough desks, and not enough attention from their teachers. In time, they will eventually figure out that nobody in power real cares enough about the quality of their education so they might as well drop out or in other ways disengage. But it won't be the fault of those at Tweed, because as Eli Broad, Bill Gates and every other billionaire knows, NYC schools are already the best product in the world. November 13, 2007 (GBN News): The game company Parker Brothers announced today the long-awaited update to its popular game, “Children First: A Game Of Irony”. The game, which has drawn a devoted following in New York and around the country, is based on the NY City school system. However, Parker Brothers has had difficulty keeping the game realistic and up to date given the frequent and massive changes in the city schools. For those unfamiliar with the game, it is similar to Monopoly, with a few unique features. The winner is the player who amasses the most points, which are known as “test scores”. 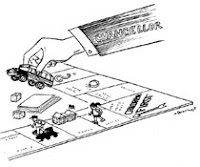 One player is designated “Chancellor”, and is similar to the banker in Monopoly but disburses money only in the form of no-bid contracts. The “Chancellor” also has the right to change the rules at any time, especially in the middle of a turn. Players draw cards such as: “Advance token to the nearest ‘failing school’. If unowned, you can buy it from the DOE and turn it into a charter school”; or, “Go to rubber room. Go directly to rubber room. If you pass ‘Go’, collect $200 but lose an indefinite number of turns”. The new version of the game looks similar to the original one, but players are now scored on the basis of letter grades instead of numerical values. As in the original game, “test scores” are used, but points scored in the game, called “performance”, only count directly for 30% of the letter grade. Another 55% of the grade, called “progress”, comes from improvement in “test scores” since the last time the game was played. The remaining 15% comes from the “game environment”, determined by how frequently players show up at games, as well as by how the players rate each other in surveys that they are required to fill out. Scoring is very simple: In the computer version of the game, the “Chancellor” enters the game data and clicks on a button labeled “ARIS”. The computer will then turn out a randomly generated "grade" for each player. In the board version, the “Chancellor” decides what letter grade each player will receive on the basis of an arbitrary manipulation of the data. Players can appeal their grades, and the “Chancellor” will approve appeals based on players’ political clout and their willingness and ability to follow the “Chancellor’s” ever changing rules. A Parker Brothers spokesperson, Brad Milton, expressed the hope that the updates will add the same exciting new twists to the game as the most recent “reforms” have done for the actual school system. Players, he said, will experience the “high stakes” thrill of the DOE, as all it takes is one “F” score for a player to be “fired” and not allowed to play in any future games. Moreover, players will be “empowered” to develop entire new strategies, just as principals do at the DOE. For example, players might try not scoring too many points in any one game, so as to make “improvement” more likely in the next game. The new version of “Children First: A Game of Irony” will retail for $39.95. The computer version, which includes a complete ARIS system, will remain at $80 million. However, for current owners of ARIS, the game can be purchased separately for $29.95. An update to the national version, “NCLB: The Game”, will be out in the near future. Q. How/why was the 95th percentile chosen as a cut-off? A. Research shows that it is this group of students who need significant curriculum adjustment. This is the cut-off used by a number of other large, urban school districts, including LA, Philadelphia, Seattle etc. Q. How do the OLSAT and BSRA test scores relate to Stanford-Binet? A. Unlike Stanford-Binet, no IQ score is yielded by the tests the city has selected. Q. Will students NOT currently enrolled in G&T programs who are at or above the entry grade still be allowed to test for open spots in upper grades? Q. A number of parents, including many whose children are currently in G&T programs raised questions and concerns about what the curriculum is once children are in the program. One parent said she's had several children in G&T classes over the years and she believes the classes have "degraded." She believes many G&T teachers are not state certified and don't know what a G&T curriculum is. A. The DOE has and will continue to offer professional development and support to G&T teachers. In addition, the DOE website offers G&T units of study which are aligned with the state standards. Marcia Lyles added that on Nov. 7 she met with principals whose schools have G&T programs to share with them concerns over the curriculum. Another parent added that in D24, G&T programs at two schools differ as to whether they use a grade-level math book or one which is a year advanced. If there is such a discrepancy within one district as to curriculum, what goes on citywide? Also, some more established G&T programs may get grants from elected officials or have more organized committees of parents to fundraise for "extras" for the G&T classes (e.g. Chess, Foreign Language, Theater), while new programs don't. Q. A few parents had questions about busing for children enrolled in G&T programs. One parent from D24 said her elementary school child lives 5.22 miles from her district G&T program and has been refused yellow busing (for living over 5 miles away). The mother now takes her daughter on two buses and a subway to get her to school. Another parent added that Special Ed. Students are bused all over the city and kids in G&T programs should be eligible for busing as well. A. No real answer – they asked for the one mother's name to look into her individual situation. Q. Why are the three city-wide G&T programs, which serve the highest scoring students (97th percentile), all located in Manhattan (and with no transportation provided for those living in the other four boroughs)? A. No real answer – perhaps the DOE will look into this. A. No real answer. Ms. Lyles indicated that it was a decision made by the districts, then amended to say the regions. When asked how individual districts in Queens could go back to a K start, she had no answer. Q. Are class sizes in G&T classes capped? One parent stated there were 34 children in her child's G&T class. A. There are no special caps for gifted classes – they can go up to the contractual limits. (Note:This is misleading – there are caps in some places, whether they be formal or informal – e.g. in D24 – 25 children are admitted to K-3 classes and then, perhaps, 30 for 4th and 5th grade. Other districts may have lower caps (D30?) and the city-wide programs are also allowed to keep their class sizes small (e.g. Anderson keeps 5th grade at 28). Q. What is the plan for G&T students at the Middle School level? A. This proposal only covers elementary school programs. OSEPO will be working on a middle school catalog, but there is no proposal to change G&T on the middle school level. 1. It was mentioned by DOE officials that once a child is in a G&T program at a specific site in their district, they cannot transfer schools to a different G&T program. Why this is the case was not elaborated upon, but wouldn't it make sense that if one program is doing a "better" job than another or offering a better G&T curriculum and/or more enrichment opportunities, that parents might want the option to transfer? 3. Why not create additional classes at higher grades if enough children test at the 95th percentile? Parents of current 2nd and 3rd graders expressed concern that their children would only be able to compete for an extremely small number of seats which open up in the higher grades. If a child has newly moved into a district, didn't perform up to his/her abilities when tested in a previous year, is an immigrant who has now sufficiently developed English skills, etc. shouldn't the DOE be able to accommodate them at higher grades? Creative destruction and the new school grades: Carmen Farina responds! "Jack Welch said one thing that really struck me…You can't allow an organization to grow complacent. When you find those kinds of organizations, you have to tear them apart and create chaos. That chaos creates a sense of urgency, and that sense of urgency will ultimately bring [about] improvement." This quotation was included in testimony I delivered in the fall of 2004, during hearings held by then-Manhattan Borough President Virginia Fields on the first phase of the Children’s First reforms. I was describing the free-wheeling attitude of the administration and the theory of “creative destruction” that was supposed to revolutionize education in this city, popularized by Jack Welch, former president of GE and the McKinsey consultants who were brought to DOE by Klein to bring change. They decided to dissolve the districts, and create the regions that would take their place, an decision which in turn, led to thousands of special education students being deprived of services and referrals for more than a year. The regions are now gone, replaced by an even more inchoate management and organizational structure. 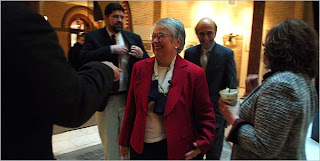 Carmen Farina was subsequently promoted to Deputy Chancellor for Teaching and Learning after Diana Lam left in disgrace; she lasted two years, until retiring in April 2006, to be replaced by Andres Alonso, who has since departed for Baltimore. Klein may have endured longer than most modern Chancellors in the city’s history; but the top educator post in the Department has been a revolving door, reflecting the rapidly changing fads and fashions in the methods and theories of reform attempted by this administration. Is Joel Klein for Real? 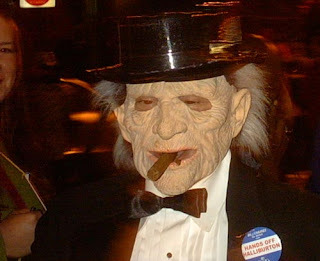 November 11, 2007 (GBN News): A Department of Education spokesperson today categorically denied reports that Schools Chancellor Joel Klein is actually a fictional character. The denial was apparently in response to rumors that have long been circulating, but have multiplied after the release this week of Mr. Klein’s signature accountability measure, the new school report cards. In other news, a high school student in Queens told GBN News that she is challenging her failing grade this semester. The student, who wishes to remain anonymous at present, had raised her average from 51 to 59 since last semester. She is demanding that based on the fifteen per cent increase in her average, her grade should be changed to at least a “B”. Master file of school "peer index" scores here!